I have no power in the kitchen or the front of the motorhome. My combination oven/microwave doesn't work either. I checked the breakers and fuses. I can't figure it out. Denise, have you checked the Ground Fault Circuit Interrupter (GFCI)? 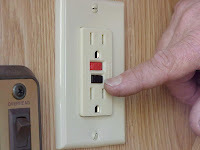 Yours may be either a receptacle (usually located in the bathroom), or a circuit breaker (located at the breaker box). 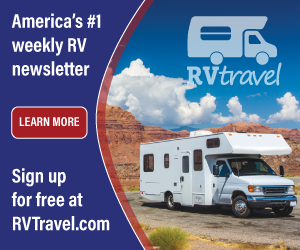 It is a device that is mandated by the electrical code for recreation vehicles and protects all receptacles located near sinks and those that are located on the exterior of the RV. All GFCIs contain a by-pass or test function that is user invoked. This test function allows testing of the internal electronic components of the GFCI. It also verifies the integrity of all receptacles on that same branch circuit. The GFCI should be tested regularly. If yours has tripped, it simply may need resetting. If not, then further troubleshooting may be in order. But I’d wager it’s the GFCI. Let’s hope so.